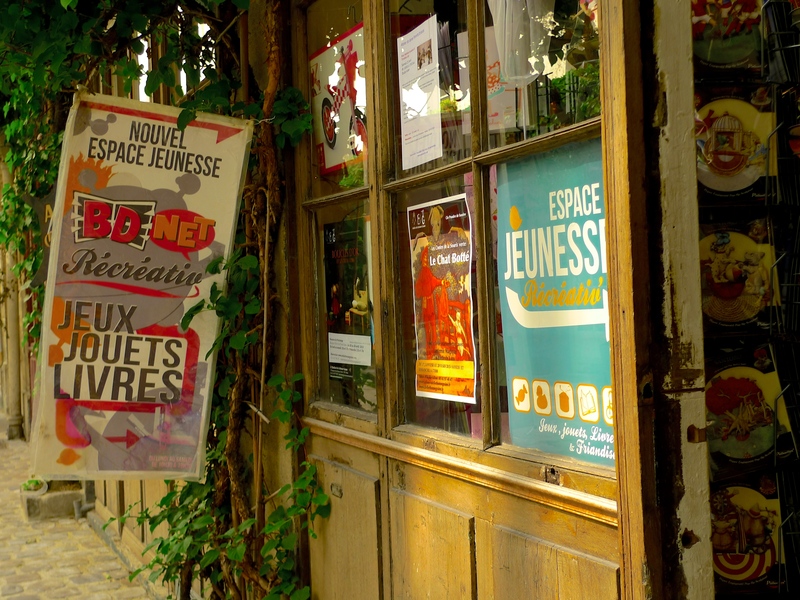 THE AREA TO THE EAST of Bastille, the Faubourg Saint-Antoine, was traditionally a working class neighbourhood with a focus on craft industries. 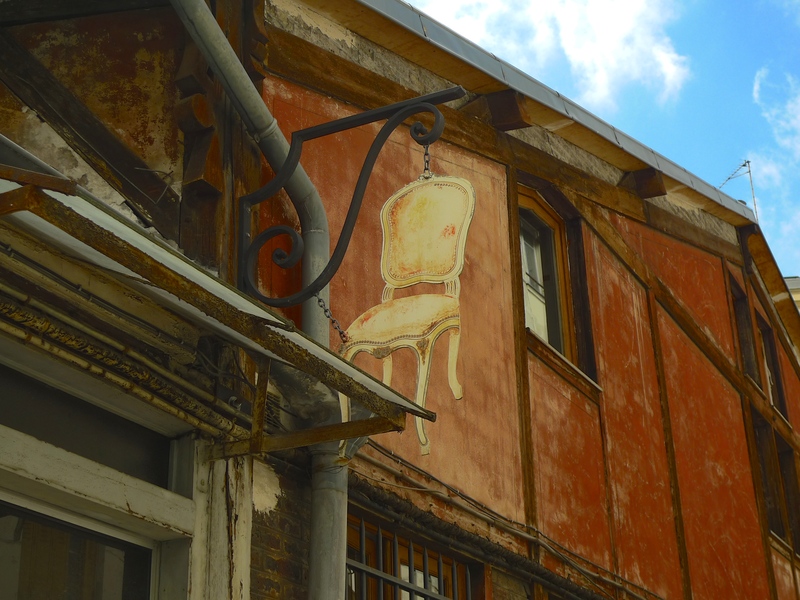 Its proximity to the Seine with its plentiful supply of wood saw the area develop into an important centre for the furniture industry, which it still is today. Many of the skilled craftsmen didn’t work in the main streets preferring instead to set up their workshops in the plethora of small, cobblestone, passageways leading off the main thoroughfares. 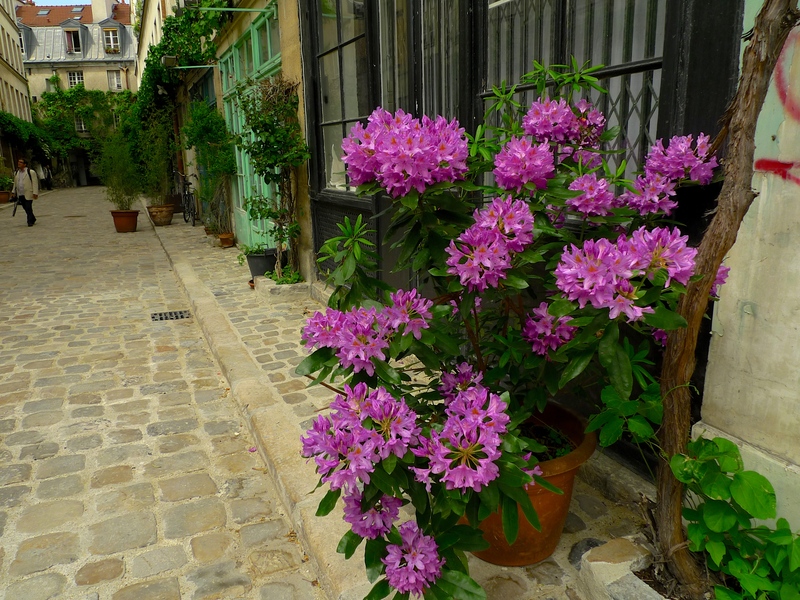 Many of these passageways survive today and some still accommodate skilled craftsmen. 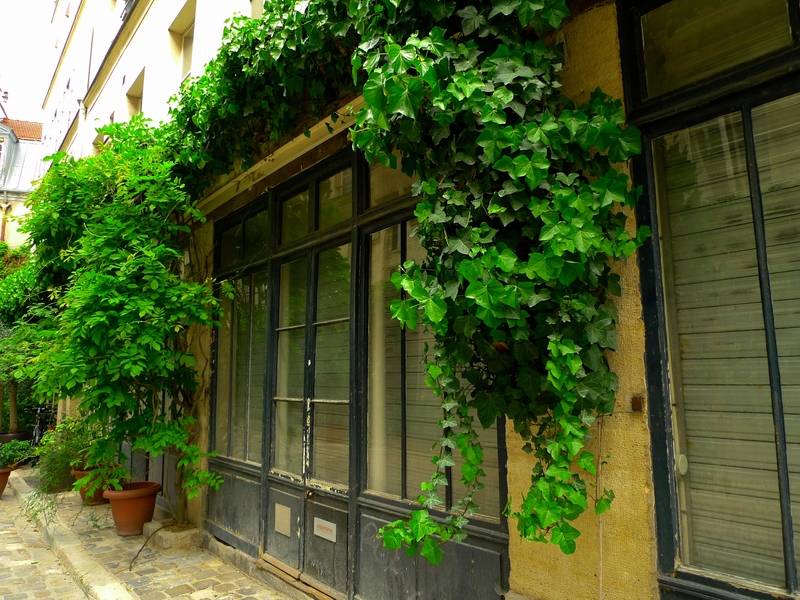 A set of double doors at N°26 rue de Charonne lead into one of these surviving passageways, the Passage l’Homme. Stretching for 122 metres the Passage l’Homme is lined with ateliers on the ground floor with apartments above. In prime position close to the entrance is an amazing toyshop. 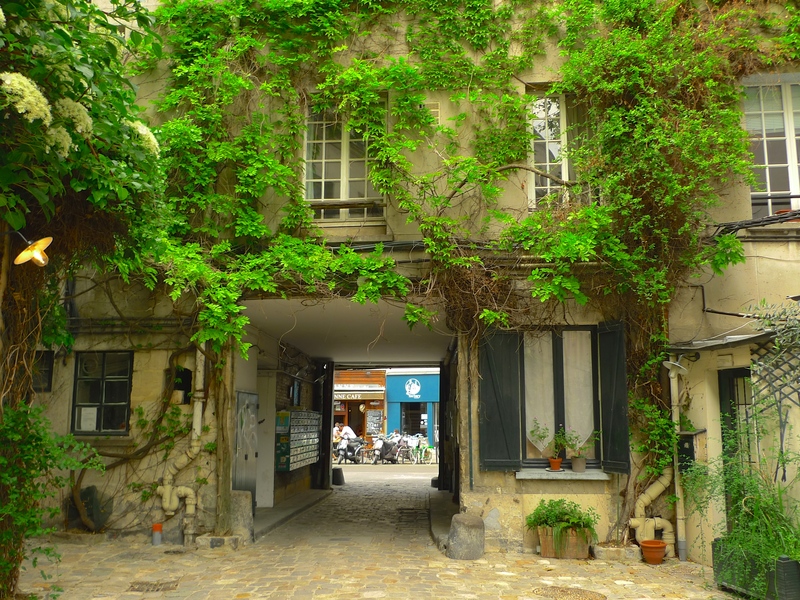 Further along the passage is the atelier of Alain Hollard whose family firm was established here over a hundred years ago. 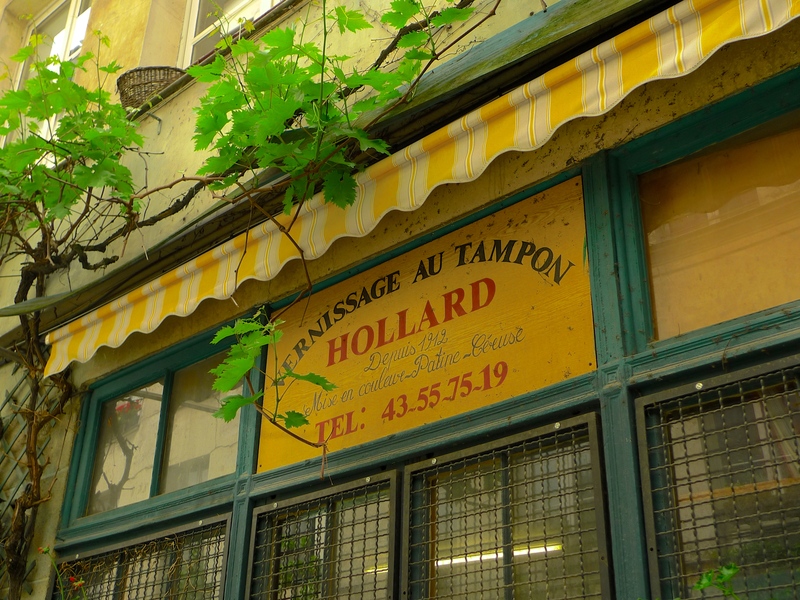 He specialises in a traditional craft long associated with this part of Paris, Vernissage au Tampon, known in English as French polishing. For me, the most striking thing about the Passage l’Homme is not the sights, delightful though they are, but the sounds. 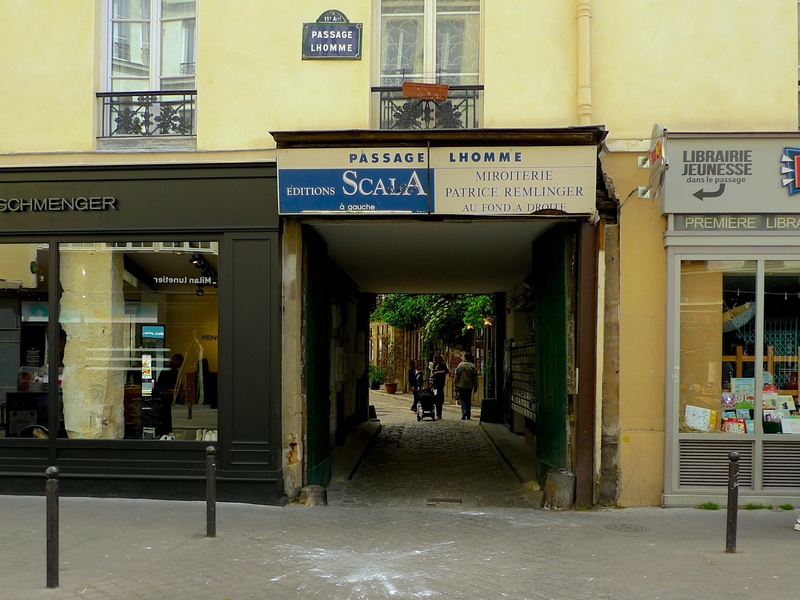 Sandwiched between rue du Faubourg Saint-Antoine, rue de Charonne and l’avenue Ledru-Rollin the Passage l’Homme is surrounded on all sides by busy streets awash with heavy traffic and yet deep inside the passage a curious calm prevails. Such sounds as there are represent life being lived in the street uncluttered for the most part by noise pollution and so each sound seems to take on an extra significance. Just as Eugène Atget would have set up his large-format wooden bellows camera to photograph this place a hundred years ago, I set up my microphones half way along the passage and with a much longer exposure time than Atget would have used I pressed ‘record’ and walked away leaving the microphones to capture the scene. Occasional birdsong, the clatter of lunchtime crockery, anonymous footsteps and distant conversation paint the canvas upon which the more prominent sounds can shine. A young lady collects a large sheet of artwork from the graphic designer’s office and rolls it up as she leaves, doors open and close, two French middle-aged men busily clicking their cameras walk by, the apartment gardien emerges and sits on a step taking a phone call, someone whistles, a young child in a buggy passes by proclaiming something obviously very important to the world and Monsieur Hollard returns from his lunch, unlocks the door to his atelier and goes inside to continue with his vernis au tampon. 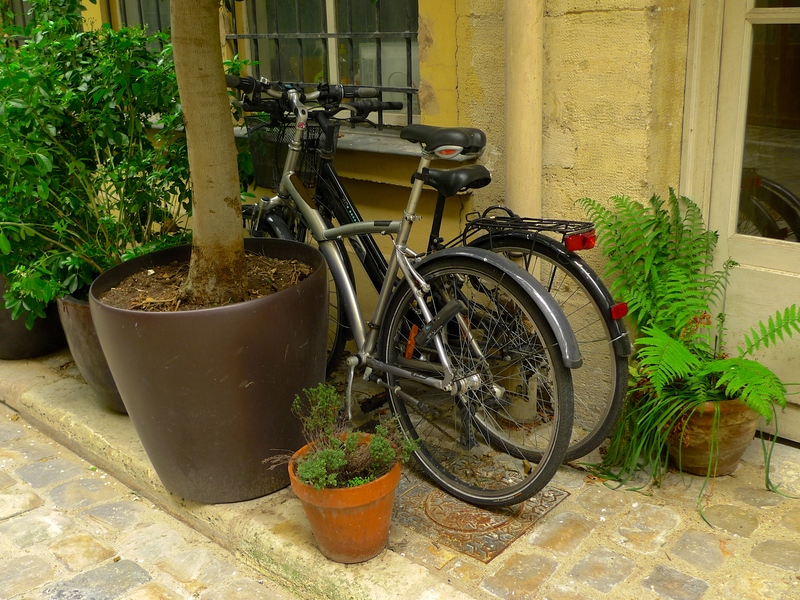 In the bustling streets of Paris noise pollution is a constant companion and quiet places are hard to find. 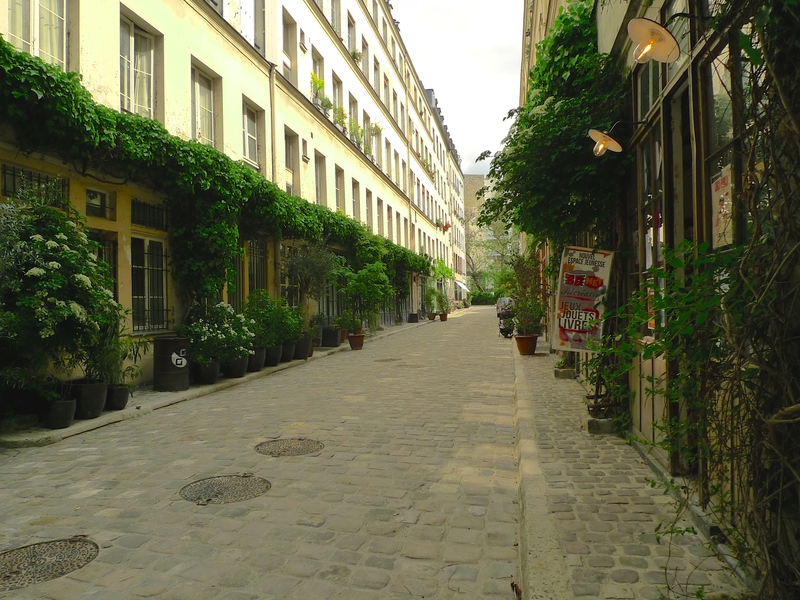 That’s why I find it so refreshing to visit the Passage l’Homme. For sure, it’s an interesting place to see but it’s so much more interesting to listen to. 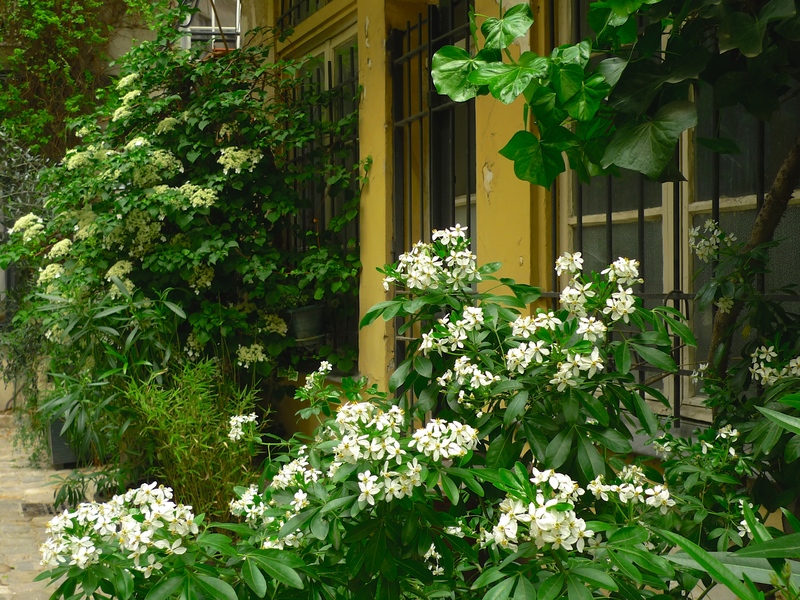 In this verdant corner of the city the noise pollution subsides and the ordinary sounds of everyday life take centre-stage. Like a fine wine these sounds deserve to be savoured and enjoyed.